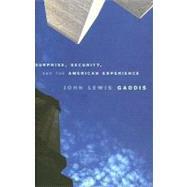 September 11, 2001, distinguished Cold War historian John Lewis Gaddis argues, was not the first time a surprise attack shattered American assumptions about national security and reshaped American grand strategy. We've been there before, and have responded each time by dramatically expanding our security responsibilities. The pattern began in 1814, when the British attacked Washington, burning the White House and the Capitol. This early violation of homeland security gave rise to a strategy of unilateralism and preemption, best articulated by John Quincy Adams, aimed at maintaining strength beyond challenge throughout the North American continent. It remained in place for over a century. Only when the Japanese attacked Pearl Harbor in 1941 did the inadequacies of this strategy become evident: as a consequence, the administration of Franklin D. Roosevelt devised a new grand strategy of cooperation with allies on an intercontinental scale to defeat authoritarianism. That strategy defined the American approach throughout World War II and the Cold War. The terrorist attacks of 9/11, Gaddis writes, made it clear that this strategy was now insufficient to ensure American security. The Bush administration has, therefore, devised a new grand strategy whose foundations lie in the nineteenth-century tradition of unilateralism, preemption, and hegemony, projected this time on a global scale. How successful it will be in the face of twenty-first-century challenges is the question that confronts us. This provocative book, informed by the experiences of the past but focused on the present and the future, is one of the first attempts by a major scholar of grand strategy and international relations to provide an answer.